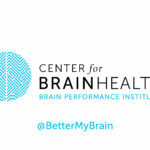 DALLAS, TX – OCTOBER 12, 2017 – Today, the Center for BrainHealth® held the first of several grand opening events to take place over the next week, unveiling the new home of its Brain Performance Institute™. 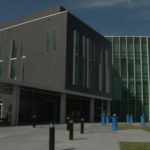 The 62,000-square-foot building and program center, located at Mockingbird Lane and Harry Hines Boulevard in Dallas, is the first of its kind. It is offering scientifically based programs to increase brain performance, health and promote the growth of new brain cells. 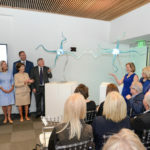 Surrounded by some of the world’s top brain researchers and clinicians, Center for BrainHealth founder and chief director Dr. Sandra Bond Chapman led a “Reimagined Ribbon-Cutting” at 10:30 a.m. Guests included Former First Lady Laura Bush, former Dallas Mayor Tom Leppert, military veteran and NFL All-Star Chad Hennings, UT Dallas President Richard C. Benson and Georgeann McRaven, wife of UT System Chancellor William H. McRaven. 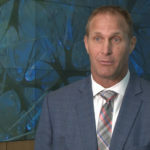 Each spoke about the importance of bringing brain performance to the forefront. 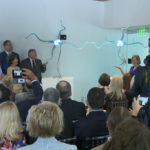 A reimagined ribbon-cutting portrayed the lighting of two glass neurons igniting across a simulated brain synapse, signifying the official opening of the iconic building and the official launch of a nationwide and globally relevant Brain Performance Movement. 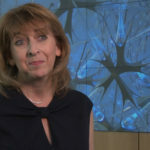 Dr. Leanne Young PhD, executive director of the Brain Performance Institute, said the new building is home to programs that help people at all stages of life and those affected by various conditions. 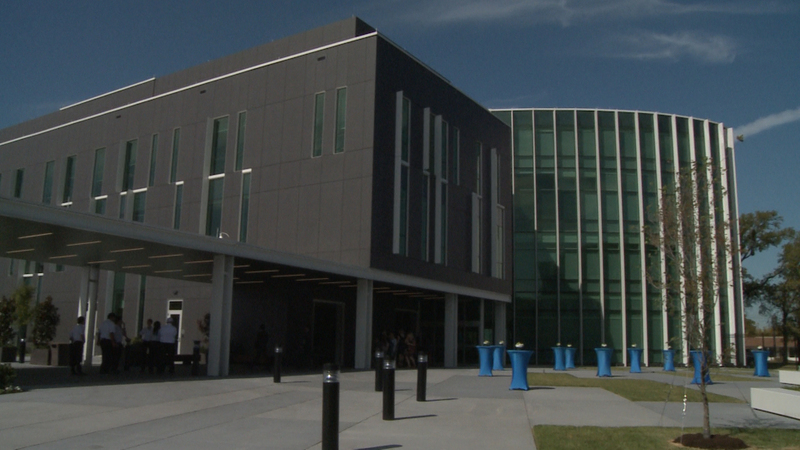 During its public grand opening on Thursday, Oct. 19, the Brain Performance Institute will offer free programs and events throughout the day, and a ticketed lecture in the evening. 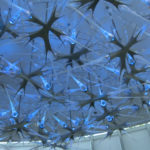 Guests will be able to attend brain-centric classes, lectures and exhibits that provide practical tips and insights for enhancing brain performance. Gene Christiano, executive chef for UT Dallas’ Dining Services, will offer demonstrations for eating a brain-healthy diet from 1 to 5 p.m. Twenty-minute mindful meditation sessions will be held throughout the day, and Dan Tinker with Posit Science will lead BrainHQ exercises that improve memory and focus from 1 to 5 p.m.
More on the Game-Based Learning Platform: Grounded in research conducted at the Center for BrainHealth®, CharismaTM promotes social brain-enhancing strategies that have been shown to improve emotion recognition, social-reasoning and self-confidence.